I’m a bit obsessive compulsive when it comes to organisation, my friends might say I’m neurotic, but I hate wasting my time looking for something when I know if it is always put in the same place I will find it first time everytime. My house is very neat, my bookshelves are organised, even my CDs and DVDs are in alphabetcial order and each draw has a numercial title listing (you’re getting the idea now aren’t you). So it is no surprise that I wanted to organise my torn out magazine recipes, handwritten recipe notes and printed internet recipes into folders that could be quickly accessed when I needed them for this blog. 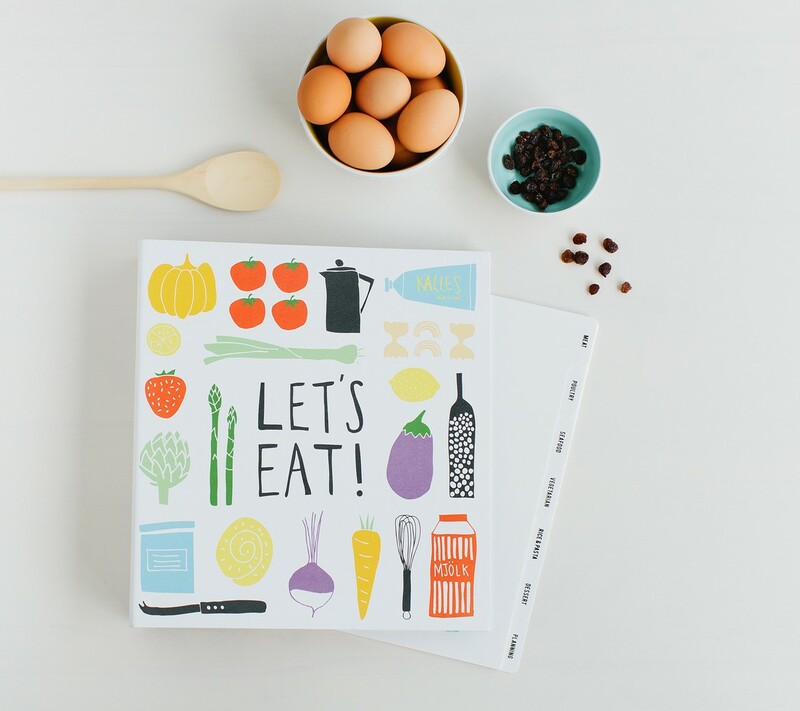 Among the many stationery stores I frequent, Kikki-K is one of my favourite and they have these amazing recipe folders. They are not cheap but are durable, well set out and perfect for my purpose (and maybe yours too). I have a number of these folders in various designs but this is their latest. I place my recipes in clear loose leaf folders and store them in these folders under the title they correspond to (e.g. seafood, pasta, meat, desserts/cakes). They have a groove in the top and bottom of the front cover that allows the provided elastic cord to be secured around the folder to stop it from catching when you place it on your shelf. They thought of everything!